Replies: 948 (Who? ), Viewed: 419016 times. #1 3rd Feb 2016 at 6:20 AM Last edited by simmythesim : 17th Feb 2016 at 1:00 PM. Hands, Neck and Bulge Sliders have been added! Now with gradual height growth! Hello guys! Since my current height slider mod is quite outdated, I decided to massively improve it! No more overriding! Feet slider is now free of height! Any new sliders I create from this point will be truly custom, which means that no more sacrificing one slider for another! Children can now have their heights customized! 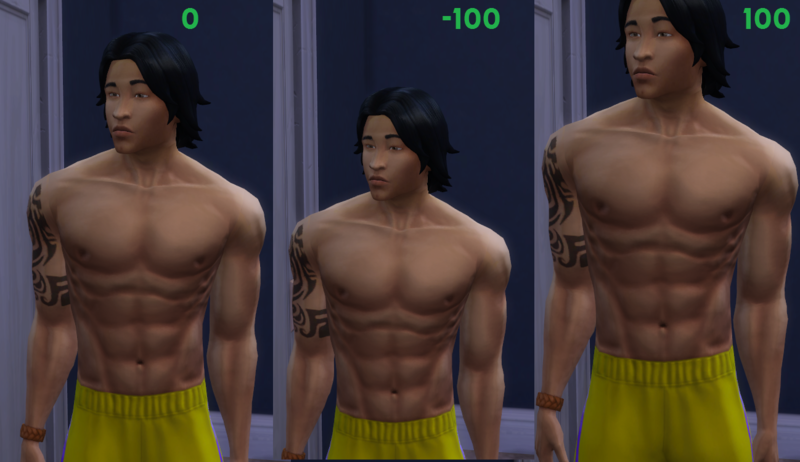 Child sims can now be resized. Leg lock, the problem where the legs were being too straight or too bendy that it looked awkward, is gone! Here's a video showing off short sims walking. Video! While that's all well and good, I may have broken a few things in the process. That's why I'm here, so others can test it! The hand slider allows you to resize your sims hands! The Neck Slider allows you to lengthen or shorten your sims necks! The Bulge Slider makes your sims less flat in the crotch area. ( ͡° ͜ʖ ͡°). If your sim isn't wearing any of these, the slider won't have any effect, unless the slider is being applied for the first time, where any clothes will be affected. The Gradual Height Change is sort of a slider, but it's also not simultaneously. This marks the return of shorter teens from the old mod! This time, it also shortens your existing teens! 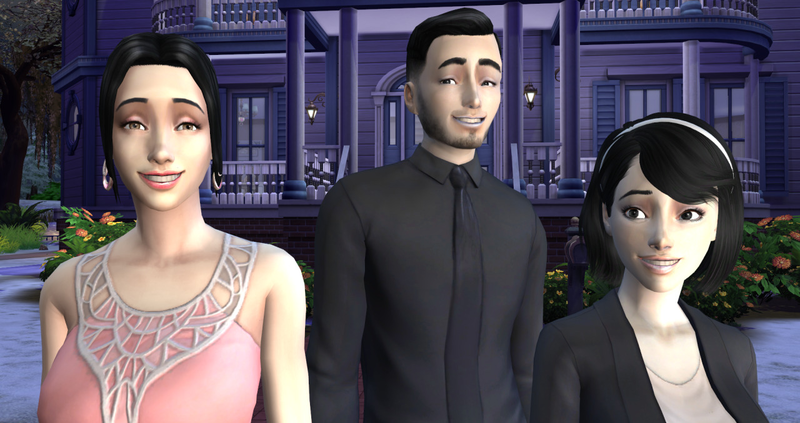 The Gradual Height part makes it so that your child and teen sims grow, every day, at midnight, which is pretty cool, I admit! It also randomizes the heights of the NPC's in the neighborhood, for more realistic sims, this only happens if their height hasn't been randomized, by the way. Anyway, to install, simply unzip the file and put the files into your mods folder. DO NOT INSTALL IF YOU DO NOT WANT TO RISK YOUR GAME IN THE EVENT SOMETHING TERRIBLE HAPPENS. It's heavily unlikely, though. Enter add_slider <command> <number>, with <command> being the command listed for the slider, and <number> a number between the min and the max values of the slider. Min and Max are usually -100 (smallest) and 100 (largest), unless it is specifically stated otherwise. The command is Height, and the min and max values are the same as the default. The command is Hand, and the min is 0, and the max is 100. The Command is Bulge, and the min is 0, and the max is 100. The slider works on it's own at 1:00 after midnight, every day. If you'd like to skip the wait, type in "rhall" to randomize everyone's height and make your teen and child sims grow for the day, or type in "rhone" to only randomize your sim's heights, and make teen and child sims grow according to their age. Then, in-game, to increase the height of the sim, enter "add_slider 13801231225349348340 <number>". Replace <number> with how tall you want your sim to be! Values range from 0.0 to 1.0. Make sure to add a decimal at the end, as it only accepts floats. Make sure that the Sim Shortness slider is set to 0 first! To decrease the height of the sim, enter "add_slider 17657724757213773022 <number>" with <number> being how short you want your sim to be. Values range from 0.0 to 1.0. Make sure to add a decimal at the end, as it only accepts floats. Make sure that the Sim Tallness slider is set to 0 first! Sliders do not seem to be genetically passed onto children, I suspect that this is a bug caused by the last patch as before that, they were working fine. Portraits are out of frame if you resize your sim. 1. Does it work? And if it doesn't post the error log. 2. 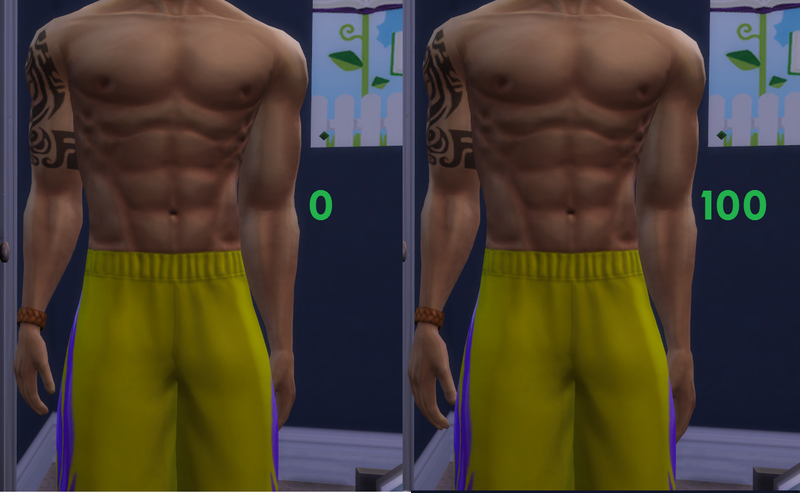 Does it transfer genetically to sims born in-game? I'm quite busy now and I don't really have the time to spend 3 sim days doing nothing. So go ahead and get your tall or short sims pregnant! v 0.06 Fixed a major bug where Gradual Height Increase wasn't working. This is the last version where all sliders are in one zip. v 0.05 Fixed the bug where not putting the bulge slider in caused the game to be unplayable. Added in Gradual Height Change and Randomized NPC heights. v 0.04.1 Added back Height Slider Tall to the zip. Fixed bug where -50 and below were the same as -100 on some sliders. v 0.01 Made it much easier to add the slider. Cool! I took the liberty to announce this thread in the EA forums, hopefully some testers will come over =). Thanks! The more people testing it out, the more bug-free the first release is going to be! I tried it and either I'm not doing it right or it's not working for me. Could you clarify a bit more in the instructions? Like do I need to be in CAS mode? Is there an actual bar that shows up that I can adjust? Because what I did was type in "add_slider Height 50" and nothing happened. Am I supposed to leave the "< >" in there? Sorry if I'm being an idiot, I've never worked with this sort of mod before, but I love the idea! Thanks! I'm going to give this one a try tonight/tomorrow...got a lot going on today, but should be able to give it some time later! #6 3rd Feb 2016 at 10:06 PM Last edited by simmythesim : 4th Feb 2016 at 1:34 PM. You need to be in Live Mode, I believe (I think I heard this somewhere) sims in CAS aren't true sims yet. You also need to make sure that "Script Mods" is checked in the game settings, if it's unchecked, absolutely nothing will happen if you type the cheat in! EDIT : It's new slider time! I've added a hand slider in the latest version. I played around with both of the sliders and they work great, nothing wrong with them for me. Looking forward to any more sliders you create and will definitely test. I played with it a bit last night. Haven't played with it for all that long, so can't help you there. But so far, I'm not encountering any major issues. The kissing animations are off with different heights, but I think you already know that. What's weird to me is that just about every other animation I tried between two sims was NOT off. Things like hand-holding and hand-kissing. It was really only the stuff like Kiss, Kiss Neck, and Passionate Kiss that were off. It's almost as if some of the animations were made to handle height differences, but kissing was not? Weird. Anyway, the only other issue I saw (which I think is also not new news) is the portrait placement being off for height-modified sims - that is, not the UI icon itself, but the picture that goes inside the UI icon. I wanted to mention this because on a theoretical level, I have a guess as to what's causing it... I suspect that the portrait (excepting for maybe babies) is updated from a camera snapshot of your sim. This snapshot is taking at a preset height for the different life stages. If this theoretical camera snapshot code exists and you could find a way to tell the snapshot camera to change its height based on the height of the sim, it might fix the issue. I don't know how helpful that is cause I'm not terribly familiar with the codebase itself, but maybe it'll help with how to think about the problem. That said, great work! I like how simple the commands are. Thanks! The animation and portrait problems aren't new though, and are probably unfixable. The commands used to be really complicated by the way, it used to be something like "add_slider 293489238498492 1.0", until somebody suggested I made it easier. Great set of mods! I've really enjoyed using it, but I have noticed that with aliens the sliders reset to 0 when removing / adding disguises. thank you rvm4488 for asking the question, i was just about to do that when i saw your post. i will now go and try this out. I forgot to mention! When first added to a sim, it's basically not part of their genetic data yet, so you will have to reapply the sliders after they age up, however, if your sim gives birth, the child should have all of the sliders part of their genetic data! So only the first generation is affected by the bug, and aliens. I'll try bugging the SimGurus if there's a way to modify the genetic data. Are you sure that both custom content and script mods are enabled in the options menu? Very interesting StS, hope to get the chance to play around with this soon! Thanks scumbumbo! Anyway, I was testing the mod today, and I realized that for some reason the genetic part of the sliders weren't working, even in CAS, for some odd reason. I think when I made it easier to add the sliders, I broke something in the process. Hmmm, wouldn't be able to tell you for sure since I didn't get a copy of the previous version, but it looks like the if structure may be wonky. Stripping out everything else and just making comments may help you see what's going on - and it may be you're doing what you want to do, I dunno! It's also possible the block structure got managled by the reverse compiler. I finally rewrote that part to be less repetitive, so that even if I add like, a million sliders, the code where the modifier is applied don't get duplicated, unlike the previous one where every time a new modifier was added, the apply code was duplicated along with it. Anyway... I'm suspecting that EA changed how SimModifier files (sliders) work in the 2/4/2016 patch and caused custom sliders fail to be passed genetically. Here's my post on the official forums about the bug. 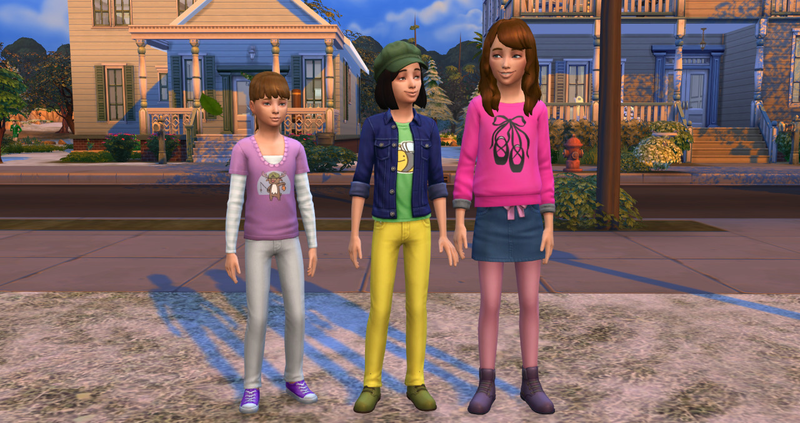 Previously, before the patch, any SimModifier the sim had on them was passed onto their offspring, so even if a SimModifier wasn't designated for their age/gender, as long as one as one of the parents had the SimModifier, the SimModifier had a chance to be passed onto the child. While the part where SimModifiers for the wrong age/gender was a bug, now ANY custom SimModifier fails to pass on genetically even if the child is in the valid age/gender range for the SimModifier. Yep everything is checked. Do I have the slider input correct? Ok, sounds good. Wouldn't surprise me at all if they changed something on ya'. Hopefully you'll get a response soon. Yeah, v 0.03 is confirmed as non-functioning. I managed to get the script working and the results seem to be superb (with the minor issues noted so far about portraits and height-based animations). ETA - Haven't played with the genetics, so no clue what's going on with those. I love it! It seems to work as intended in my game. (Haven't tested genetics yet, I just installed it a couple minutes ago.) Is there anything else specifically that you want tested? The walking, proportions, and knees are much improved over the last version! And I am so happy that you were able to get a child version working! Thank you for working on this! Some things I noticed. On the height slider, the range works from 100 to -50. And lower than -50 does not make any change. I typed -60, -70, or -99 and nothing happens. They all look the same as -50. ^ same for both adults and children. They were set, from left to right, as -50, 0, and 100. But the girl at -50 looks much smaller than default comparatively than the +100 girl is taller than default. The same is true, the shorter scale seems much wider a range than the taller scale, even though the range in numbers is smaller. I hope that makes sense, lol! I'm not sure if this is all something you intended or even if it's an "issue" at all. I just thought I'd point it out. Thank you , it works but just like what @pixiejuice said " Some things I noticed. On the height slider, the range works from 100 to -50. And lower than -50 does not make any change. I typed -60, -70, or -99 and nothing happens. They all look the same as -50. But it works! So let me thank you !! Hands and Neck Sliders have been added! If I may can I request a custom slider from you? It would be a huge help for me.